explosion proof panel boards are designed and built to operate in environments where concentrations of flammable gases, vapors, liquids or combustible particles pose risks of ignition and explosion. the panel board enclosures are cast from heavy duty aluminum so that they cannot create a spark that could possibly ignite the vapors in a hazardous location. These heavy duty panels come with "O" ring gaskets to keep explosive fumes from entering the panel and are designed to contain an internal explosion without igniting the explosive vapors present in the hazardous area. The explosion proof panel boards also prevent interior explosions from spreading outside and posing a threat to life and property. 1. Enclosure is die casted aluminum alloy with high voltage electrostatic powder coated surface after shot blasted. 2.The product has two type of Ex d (llB) and complex(llC ), complex type is consist of Ex e cabinet with explosion-proof components. 7.Exposed fastener of stainless steel. 8. Steel pipe and cable wing. 1. Q:Do you have any MOQ limit for explosion proof panel boards? 2.Q:Can I have a sample order for explosion proof panel boards? 3. Q: Do you have any sales service? A:Yes, we do 1 Year warranty for any of our products. We keep promise we do full refund or send you new one instead if it is our fault. 4.Q: Do you give any discount ? A: I’ll surely try my best to help you get those by the best price and good service at the same time,or you can be our VIP customer if you order cumulative amount up to 150,000 USD,there will be more discount for VIP customer. 5.Q: I haven’t done business with you guys before ,how can I trust your company? 6.What is your terms of packing? A: Generally, we pack our goods in carton or wooden box packing. If you have legally registered patent, we can pack the goods in your branded boxes after getting your authorization letters. 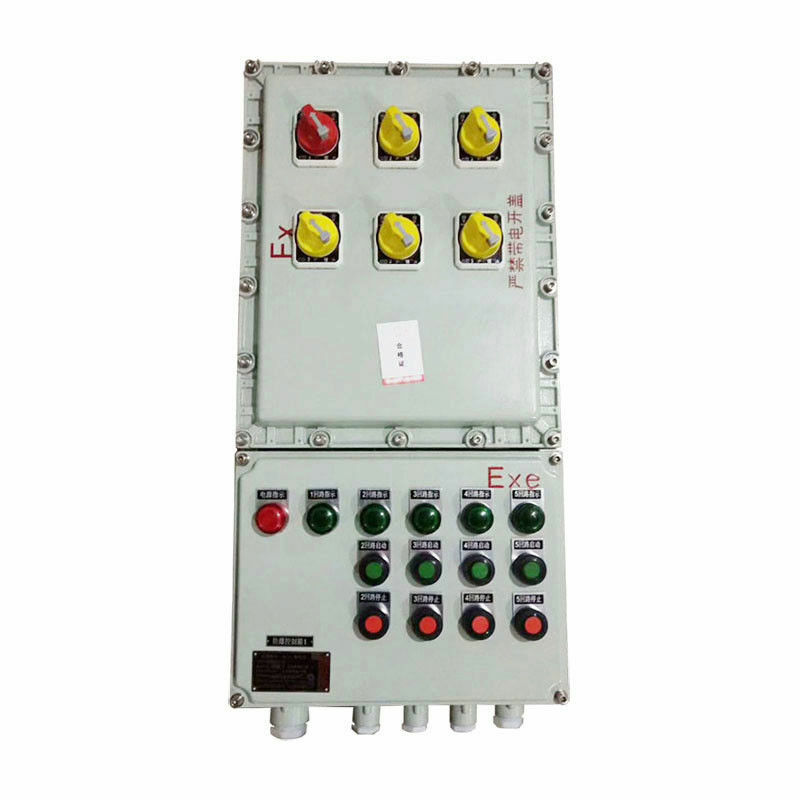 China Good Quality Explosion Proof Panel Supplier. Copyright © 2018 - 2019 explosionproofpanel.com. All Rights Reserved.